THE forgery case involving Roan Member of Parliament (MP) Chishimba Kambwili failed to take off yesterday on account of his ill health. Mr Kambwili could also not appear before Woodlands Police where he had been summoned for questioning. When the matter came up yesterday, it was allocated to magistrate David Simusamba where three defence counsels informed the court that their client was unwell. 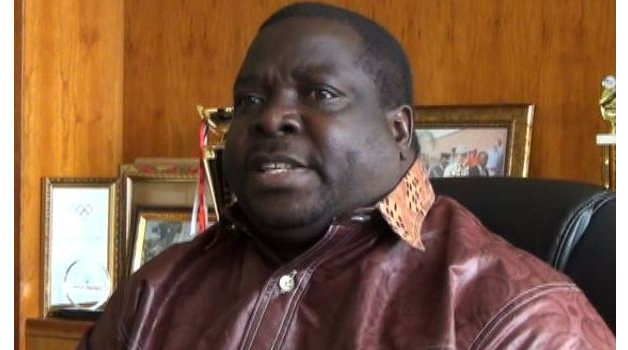 Mr Keith Mweemba, Christopher Mundi Junior and Gilbert Phiri told the court that Mr Kambwili was supposed to appear in court yesterday but had been given bed rest by the doctors after falling on Thursday evening. “In order to make progress in this matter, we seek the court’s indulgence that he appears on Monday next week for plea and setting up of trial dates,” Mr Mundia said. State prosecutor Zacks Yuma did not object to the application and confirmed that, that was the agreed date. This is a matter where Kambwili is charged with two counts of forgery and uttering a false document contrary to sections 342, 347 and 352 of the Penal Code Chapter 87 of the Laws of Zambia. Particulars of count one allege that Kambwili on October 29, 2013 with intent to deceive or defraud did forge a document namely number Change Return (Companies Form 71) purporting to show that it was genuinely signed by Mwamba Chishimba when in fact not. In count two on the same date, the accused knowingly and fraudulently did utter a false document, a Change Return (Companies Form 71) to an officer at Patents and Companies Registration Agency. And National Democratic Congress (NDC) leader Mwenya Musenge expressed displeasure at the heavy presence of police officers at the Lusaka magistrates’ court. Mr Musenge said it was sad that even a few people that travelled to offer solidarity were denied entry and yet they were peaceful. “We want to thank President Edgar Lungu for everything good that he has been doing for the nation but to allow restrictions on courts and block sympathisers is not acceptable,” he said. Mr Musenge said the Government would be responsible for anything that would happen to Mr Kambwili who was a law-abiding citizen. Meanwhile, Police spokesperson Esther Katongo said in an interview that Mr Kambwili informed Police through his lawyers that he was ill and proposed that he appears on Tuesday next week. 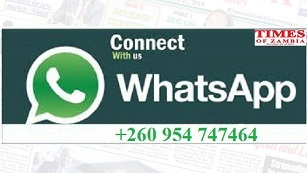 “We received information from his lawyers that he was unable to come because he is unwell,” Ms Katongo said. She said Police would advice Mr Kambwili on which date he would be required to present himself for questioning.